In a strange coincidence, good vs. evil emerges as a major theme this season in Earth's Last Eden - the seventeenth season of Survivor. "I think the audience will quickly identify with one group or the other," host Jeff Probst teases. Overwhelming hunger puts alliances in jeopardy as large appetites combined with dwindling rations create an immediate air of resentment at one camp. After a power-drunk castaway decides to take the game into his own hands, the tribes endure a challenge that comes down to a nail-biting showdown. Good and evil are truly on full-display, as one castaway attempts to use guilt to gain control of an ally, while another makes a lifetime commitment in a surprisingly intimate gesture. Will the group of deceitful castaways outlast those who play from their heart or will the forces of good prevail? Will temptations interfere with logical decision-making? Most importantly, who will survive? Shocking tribal councils, crafty use of immunity-idols, and sudden ends to powerful alliances will leave you on the edge of your seat. Find out whether good guys really do finish last in SURVIVOR: GABON on DVD. 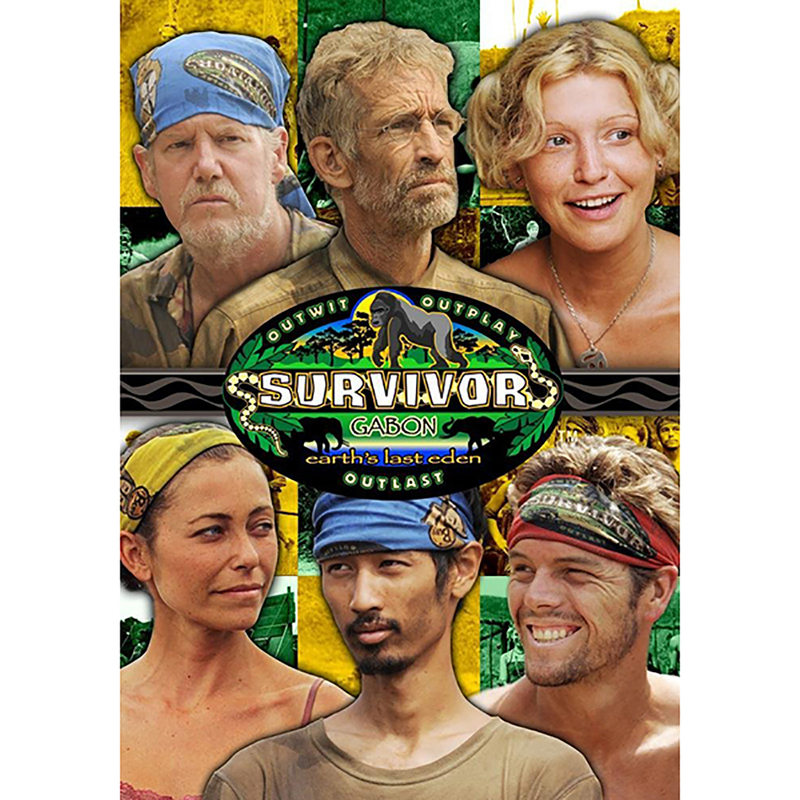 Survivor: Gabon Special Features Meet the cast - an introduction to Survivor's seventeenth season contestants. Exit Interviews - the extended exit interviews held immediately after contestants are voted out of the tribe. Early Show Interviews - interviews with Jeff Probst and this season's winner. Sizzle Reel - highlights of cast members' interviews and special insights. TV Guide Network Special - Preview hosted by a previous Survivor winner. Behind the scenes with Jeff Probst Ponderosa - features the lives of contestants after they are eliminated and sequestered. Secret Deleted Scenes - on select episodes. Tribal Council Voting - footage of select contestants. Additional Interviews - with select contestants.